Field Trip Destinations: See website. SMART CAMPS are week-long summer camps designed for girls in grades 5-8. Our focus is helping females develop interest in learning Science, Mathematics and ART to advance academic skills. Aside from technical skills, our program is designed to allow creativity to flourish. The camp is filled with exciting and innovative experiments that expose students to a new world of learning. 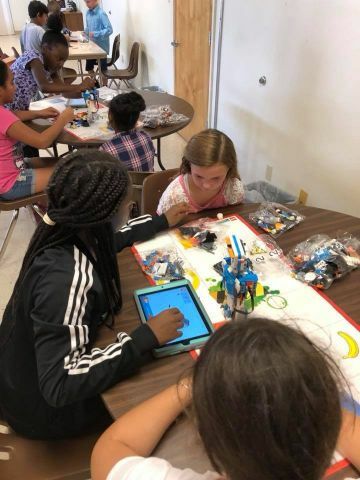 SMART CAMPS strive to meet students' learning styles through activities that are project-based to bridge any gaps girls may have in core subjects. SMART CAMPS combine academics with fine arts and culture. We provide instruction by grouping our campers according to age and ability. SMART CAMPS are tuition-based. Tuition is due at least 3 weeks prior the schedule you select. There is a one-time Registration Fee of $30 for each enrolled camper. Camp t-shirts are $20 each and are required. Tuition is $150 per week for each enrolled camper. Sponsorship Forms for Scholarship Applicants available upon request. Lessons and activities are connected to each academic area and day of the week. SMART CAMPS are hosted at a different venue each day. Parents are responsible for drop-off and pick-up at each location. Campers must bring their own lunch, snacks and beverage daily. We do not encourage lunches with peanuts/nuts due to possibility of campers having allergies. We appreciate your sensitivity to this request. Breaks are taken at scheduled times for the entire group. Backpacks are required for campers to keep up with their belongings. USC is not responsible for any personal belongings or money while in the care of USC. SMART CAMPS are 'Zero-Tolerance' programs. Misconduct and misbehavior are not allowed. Campers are dismissed upon the occurrence of infractions. Refunds are not given if a camper is dismissed. Slogan: Learning is our Business!